Earlier this month I received some absolutely gorgeous gradient hand-dyed sock yarn from the very talented Jaala Sprio over at Knitcircus. The photo does not do it justice- it is just stunning. I have been knitting socks for about 10 years, and very avidly of late. I think I knit myself seven pairs of socks this winter alone. So… I have decided to try my hand at designed a few sock patterns. 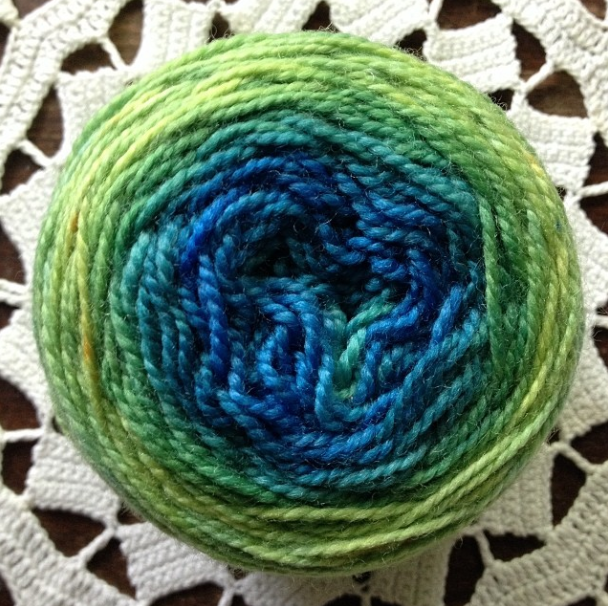 I have this yarn to work with, plus some beautiful hand dyed yarn from a Colorado indie dyer I recently met, so stay tuned. Socks are coming, hopefully in time for fall knitting!